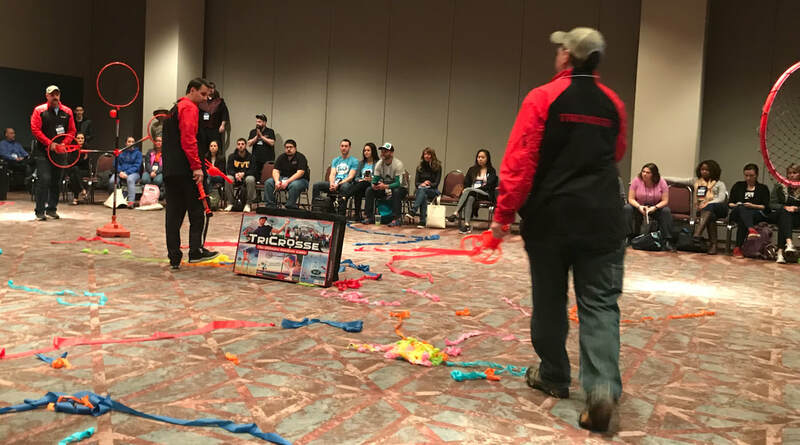 Such an awesome time at the 2019 Tri-State CAMP Conference in Atlantic City, NJ from March 12, 8:00am to March 14, 2:00pm. It is the largest gathering of camp professionals in the world! With a community of over 3000, it brings great people together and like-minded people who are dedicated to making a positive difference in the lives of children. 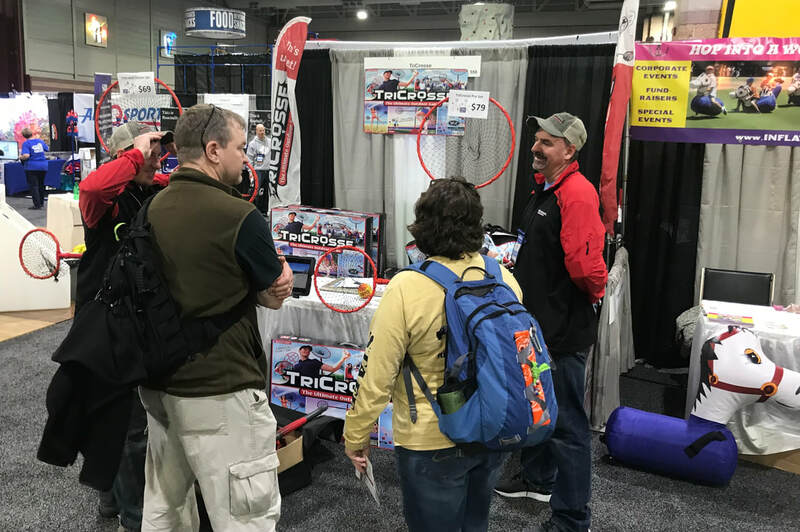 The TriCrosse booth was packed with return camp directors and new camps that took advantage of our discounted pricing. 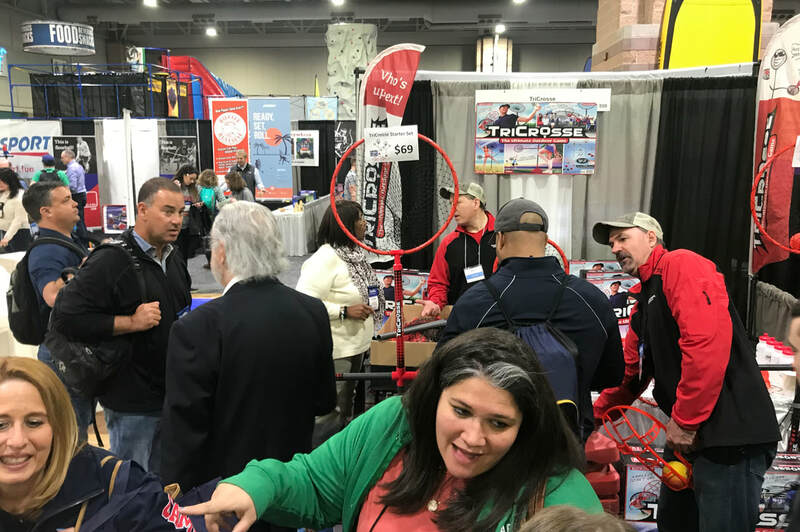 We sold out of everything in a day and a half to over 60 camps while at this confernce, which bring us to over 170 camps and schools playing TriCrosse! 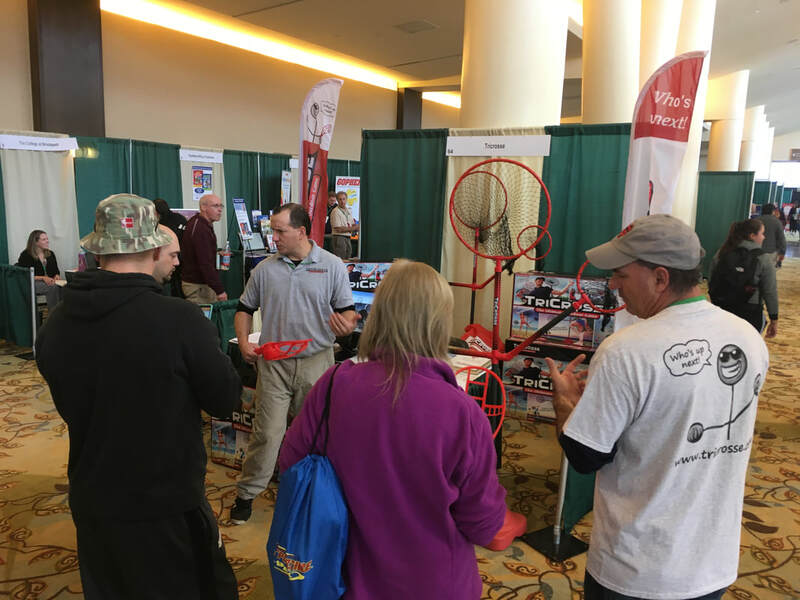 Every year, we look forward to heading up to the Turning Stone Convention Center in Verona NY to meet with all the teachers of Health Education, Physical Education and Recreation. This year was the best EVER. 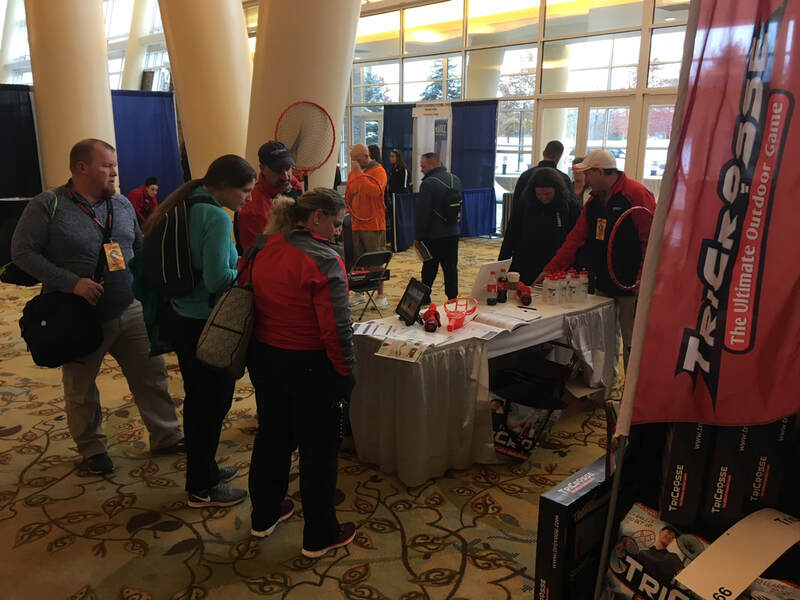 We thank you all for taking time to stop by our booth to learn about TriCrosse and to tell us how you have implemented TriCrosse at your school this past year. 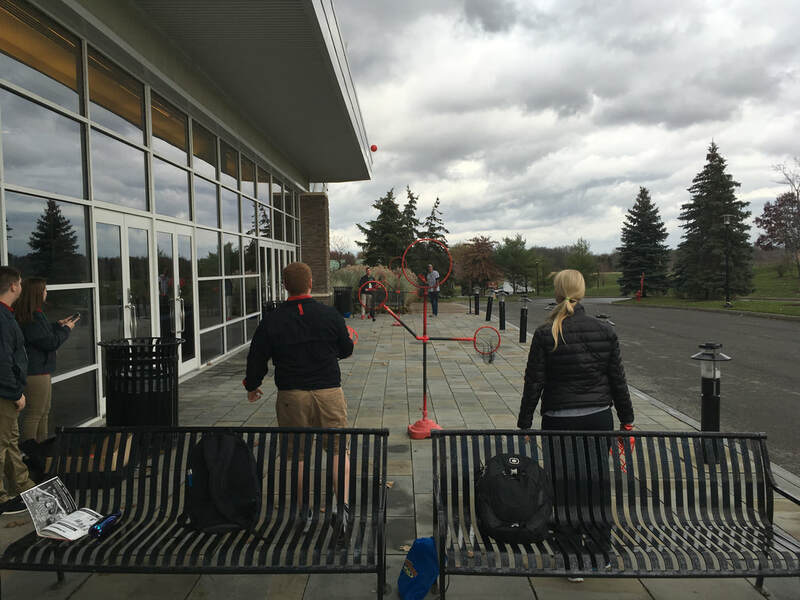 We had a lot of fun playing inside and want to thank the NYS AHPERD Team for such a wonderful conference! 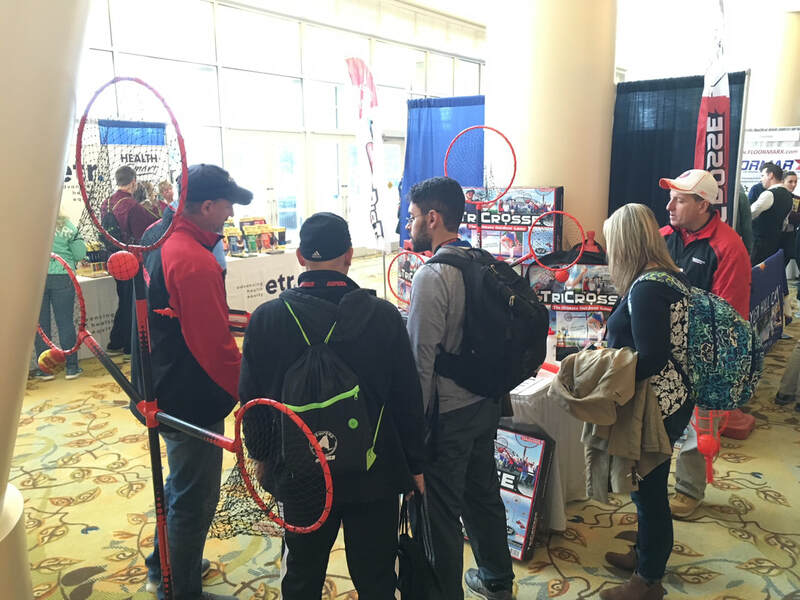 Conference Attendees...take advantage of our limited time offer discounts on TriCrosse! Check it out on our Conference Discounts page. Thanks for coming out and playing with us! 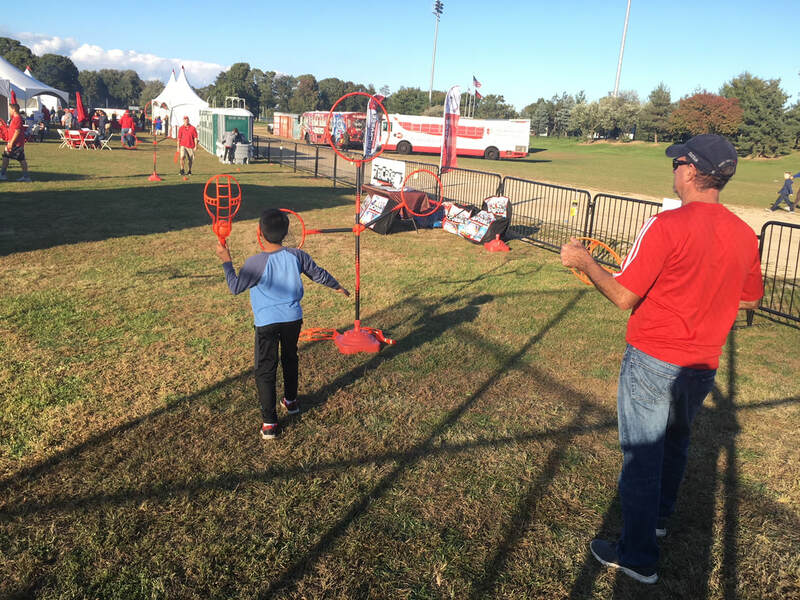 We had fun meeting everyone at the Stony Brook Homecoming BBQ. 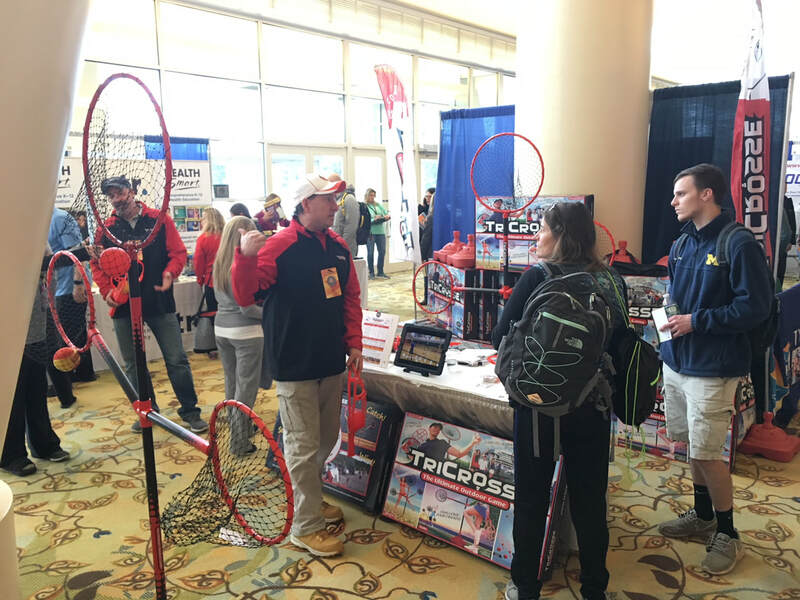 Enjoy your new TriCrosse Game Sets and hope to see you at the next TriCrosse Tournament. 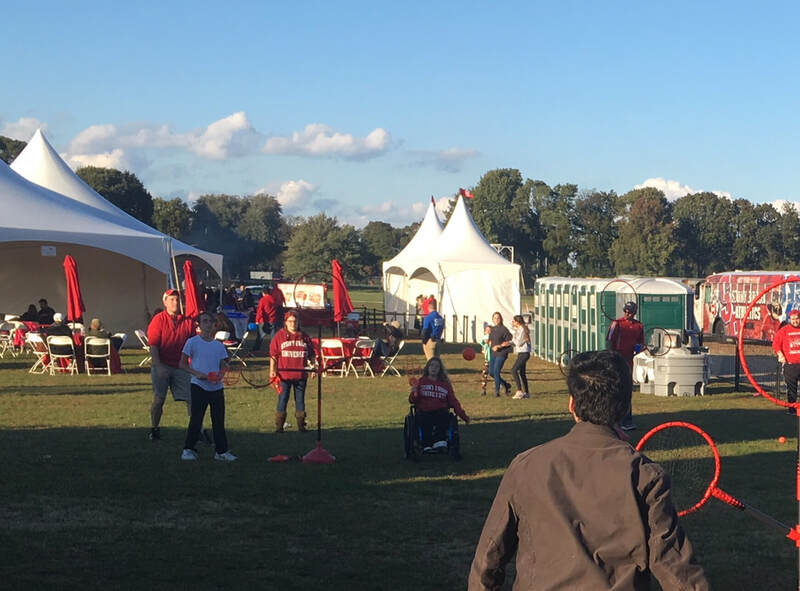 - Rides and games — the mechanical bull, rock wall, bounce house and more! 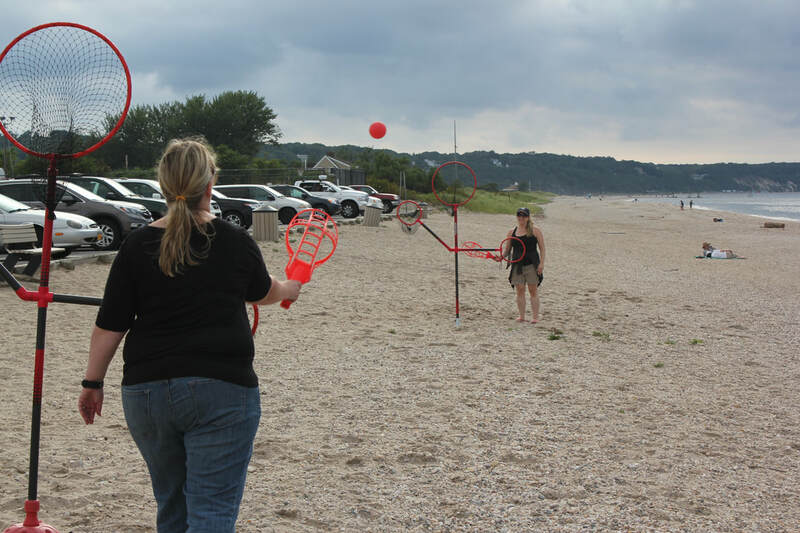 Be on the lookout for our TriCrosse Teams as they hit the beaches, parks and concerts in NY and setup and play. 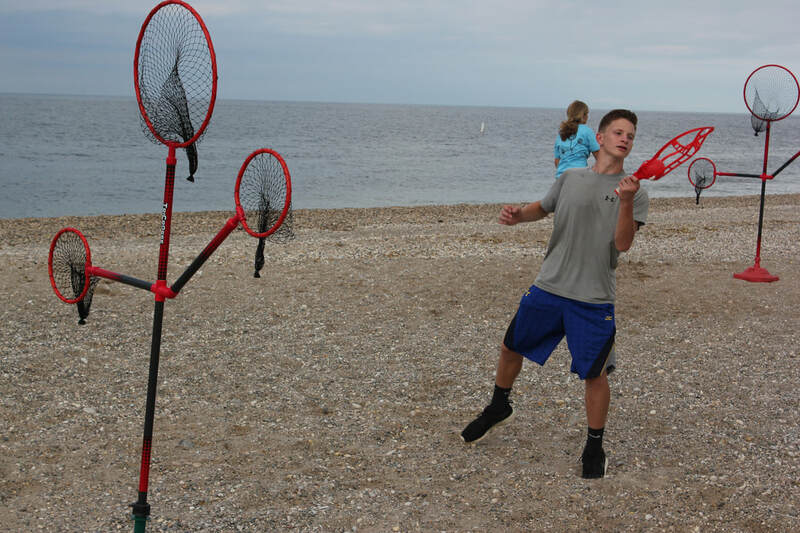 It is a great way for you to pickup a racket and tryout TriCrosse. But be warned!...it is a very addictive game and many people cannot walk away until the score in a goal! 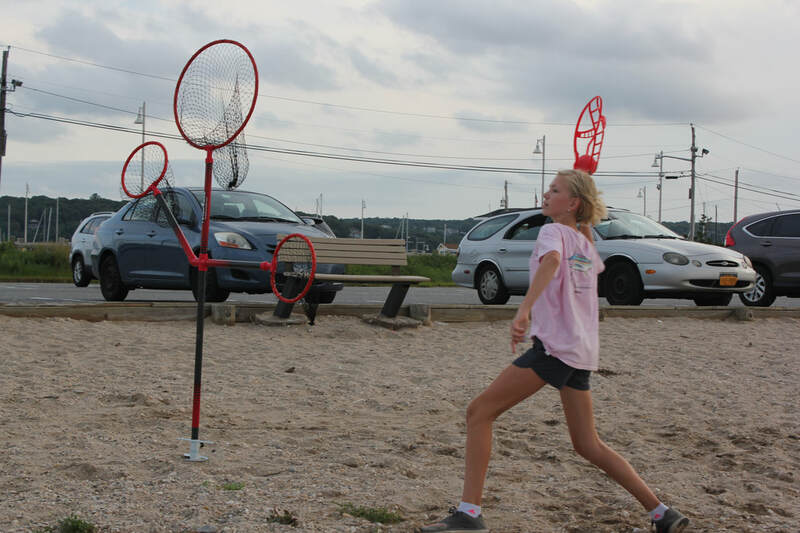 We often play at Robert Moses Beach, Smith Point Beach, Jones Beach, West Hampton Beach, Fire Island, West Meadow Beach and Cedar Beach. If you score a goal on your first shot, you win a FREE game! See you soon! 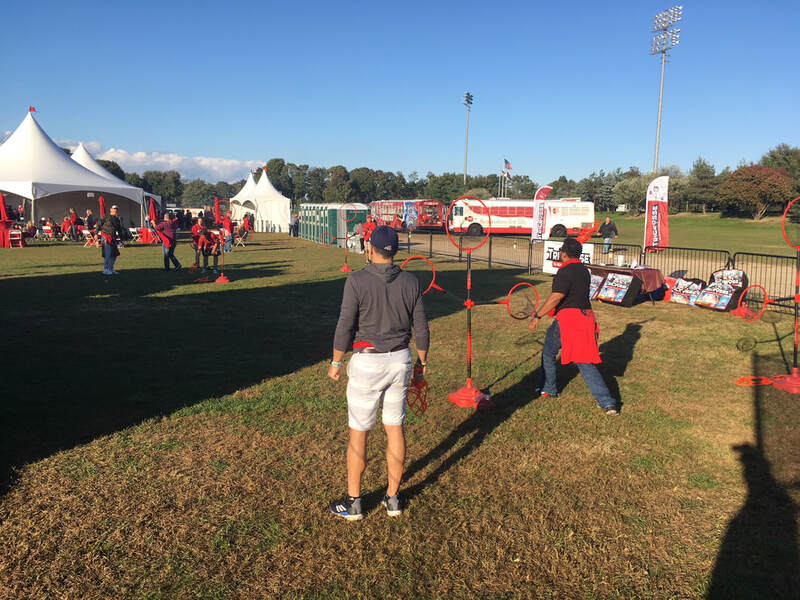 Come join the TriCrosse Team at the Family Fun Day in Holtsville, NY. We will have games setup to play and you can meet the creators of the game. The day kicks off with the Run Wild – 5K Run / Walk “Fur” the Animals event which supports the more than 100 injured and non-releasable wild and farm animals residing at the Holtsville Ecology Site, as well as the Kaeli Kramer Foundation, which provides sanctuary for farm animals and horses, including mustangs Callie and Valor, who live at the Ecology Site year-round. 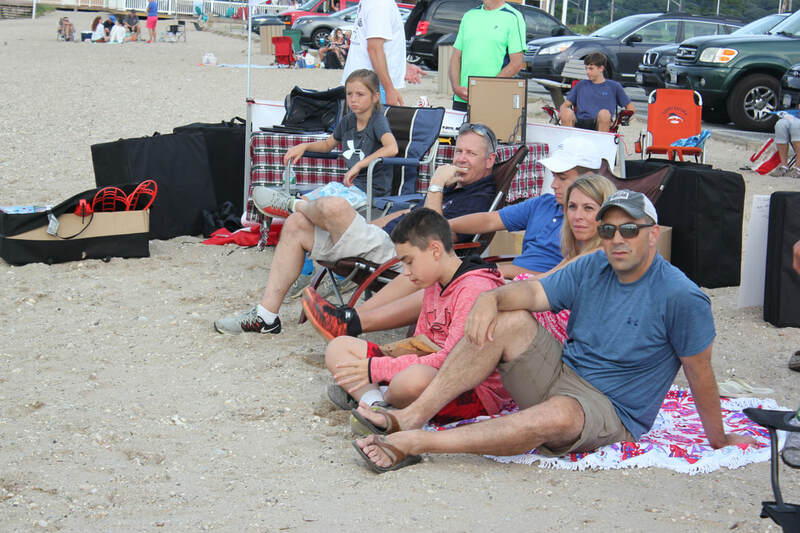 Following the race, Brookhaven Town’s Family Fun Day will begin at 11 a.m. 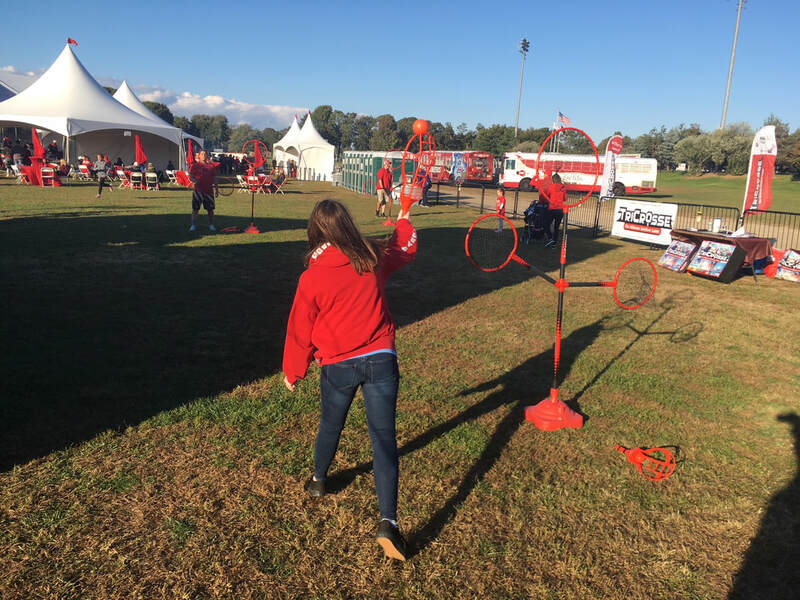 The day’s activities include family field day events and activities, crafts, games, vendors, face painting, a puppet show and animal education programs. 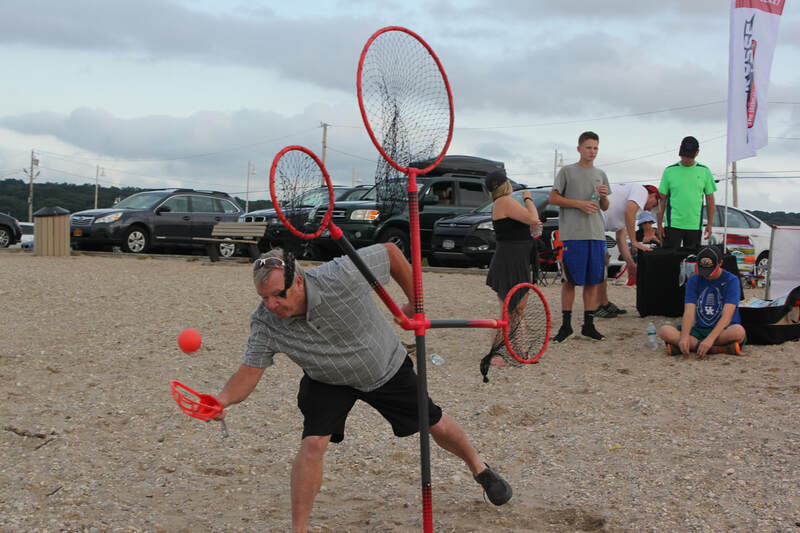 The TriCrosse team will have a table, some give-away items and games setup to play and test out this new, fun summer game which is now available at Modell's Sporting Goods. Hope to see you there for this great event! 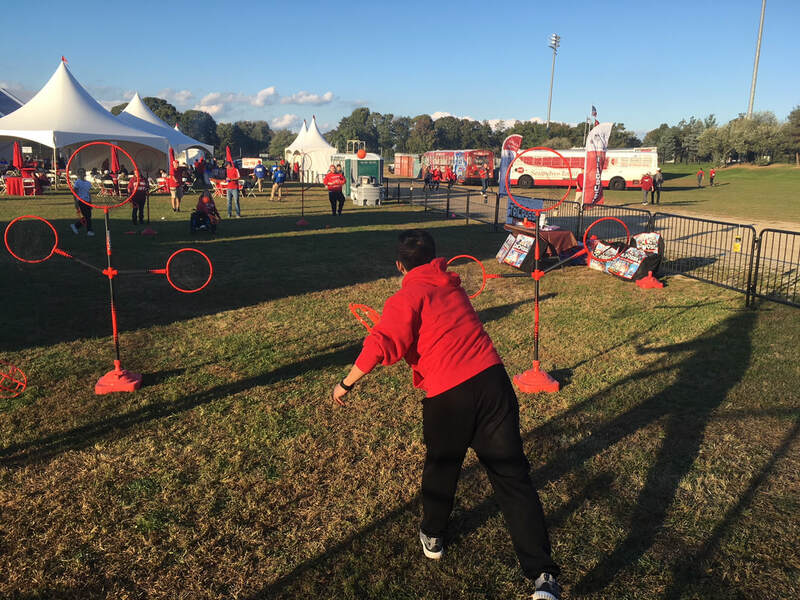 We thank the Long Island division of the Special Olympics, the Bethpage Union Free School District and the Town of Oyster Bay of Long Island, NY for coordinating such a great event. The Special Olympics is an international organization that changes lives by promoting understanding, acceptance and inclusion between people with and without intellectual disabilities. Special Olympics has created a model community that celebrates people’s diverse gifts. 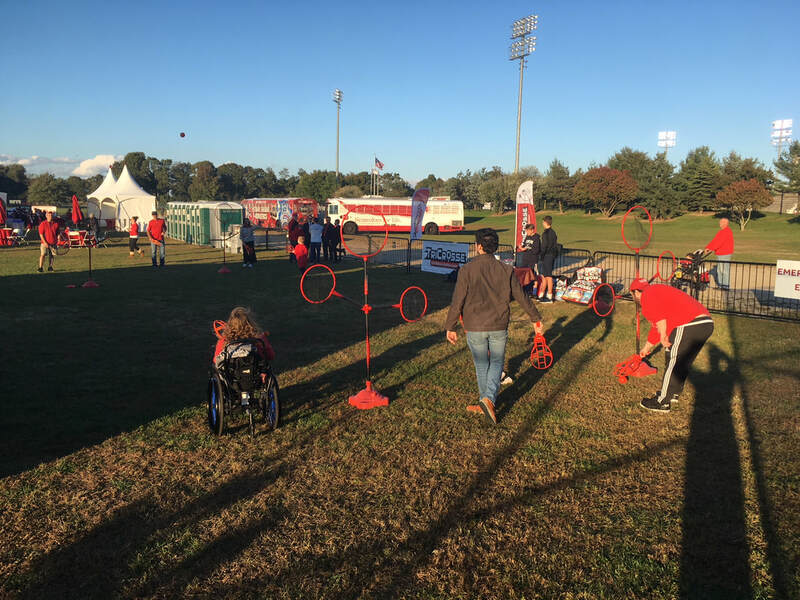 ​​Founded in 1968 by Eunice Kennedy Shriver, Special Olympics provides people with intellectual disabilities continuing opportunities to realize their potential, develop physical fitness, demonstrate courage and experience joy and friendship. 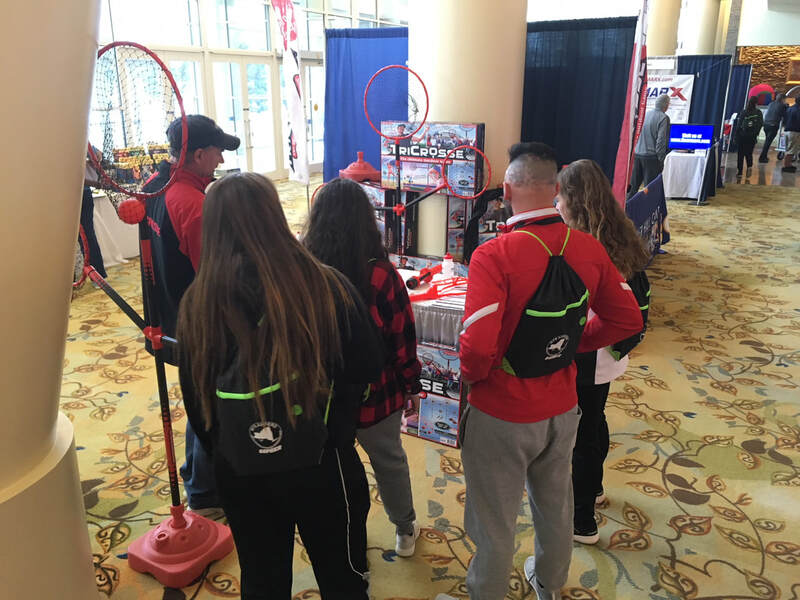 Members of the TriCrosse Team had an amazing time meeting all the camp directors and staff at the American Camp Association Conference in Atlantic City, NJ from March 20-22, 2018. 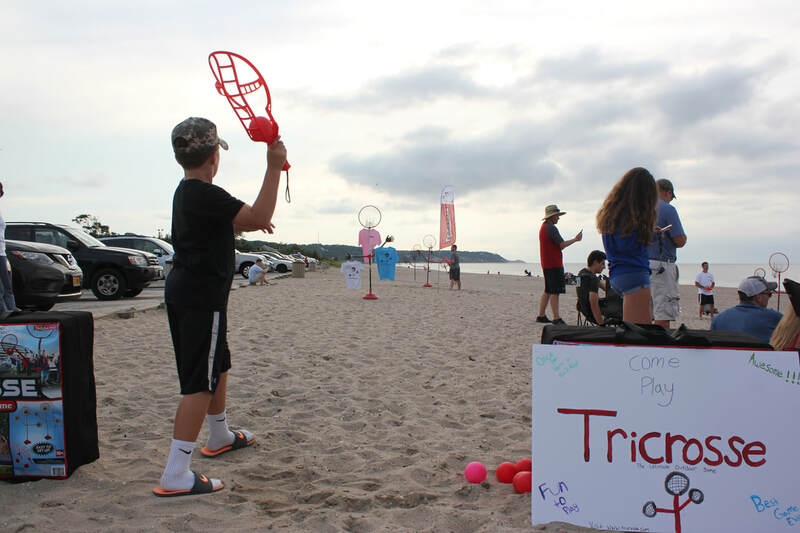 We were truly amazed at how much "buzz" and interest there was with getting TriCrosse into so many camps...an overwhelming experience. We thank you! If you did not get a chance to attend this conference and would like to speak with us, please visit our contact page and a representative will be in touch. The Tri-State CAMP Conference is the largest gathering of camp professionals in the world! 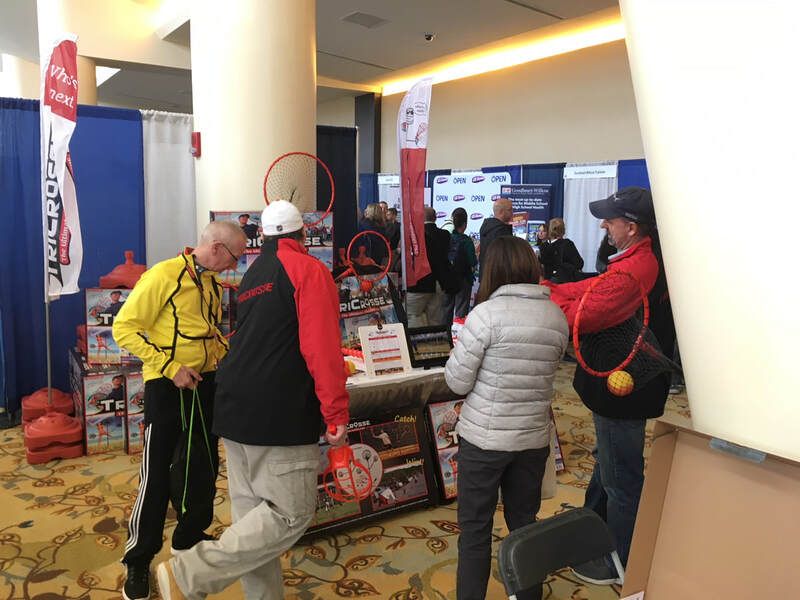 A community of over 3000 professionals will come together to learn at over 150 educational sessions, find new products and services at our 300 booth exhibit hall, and best of all, spend time with like-minded people who are dedicated to making a positive difference in the lives of children. 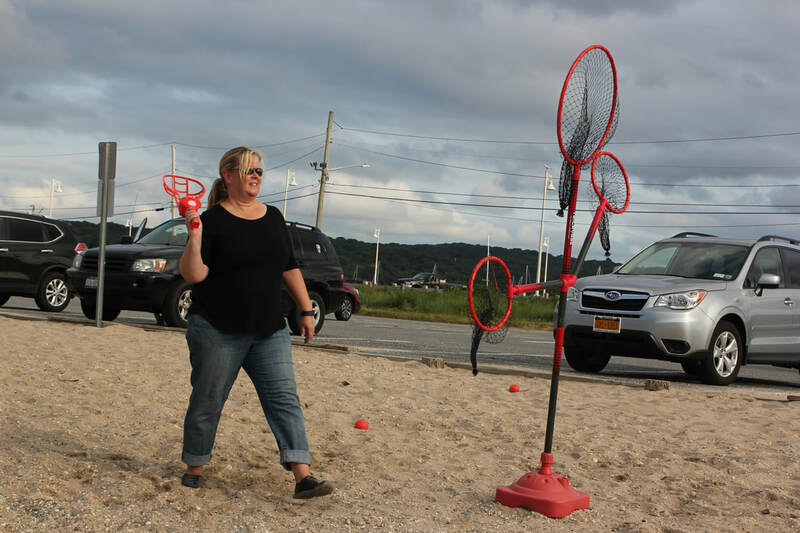 The TriCrosse Team would like to thank Jessica and Kerry for all their hard work and dedication to making the New York State Association for Health, Physical Education, Recreation and Dance Annual and Suffolk Zone Conferences a huge success! 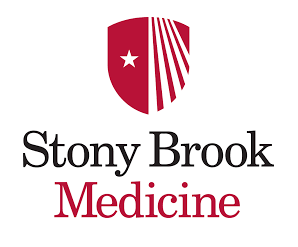 It was a pleasure to be part of a diverse and robust organization that continually works to enhance their members knowledge and skills, ensuring their students have the highest quality health and physical education programs possible. 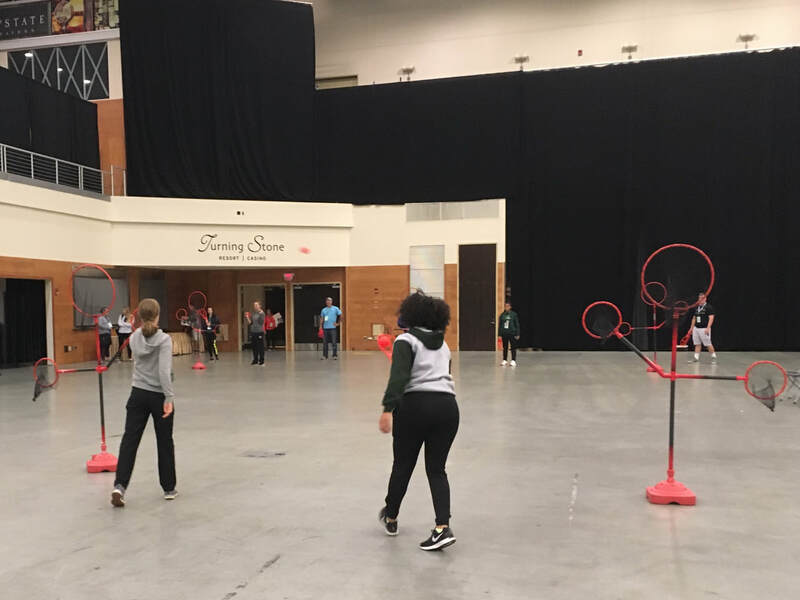 We spoke with so many of you and heard such wonderful ideas with how you would like to include TriCrosse into your programs. If you have any further questions about TriCrosse and/or are ready to purchase multiple units at a discounted rate, please use our contact us page to reach out to us. 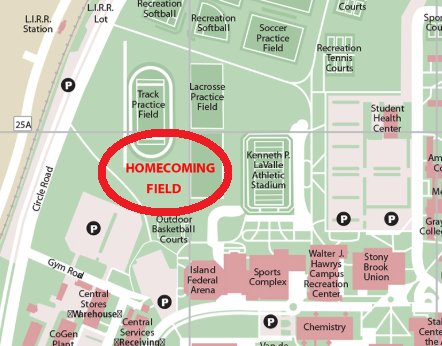 Please join the TriCrosse Team for some tailgating action & fun in the WolfStock Village! Entrance into Wolfstock Village is free! 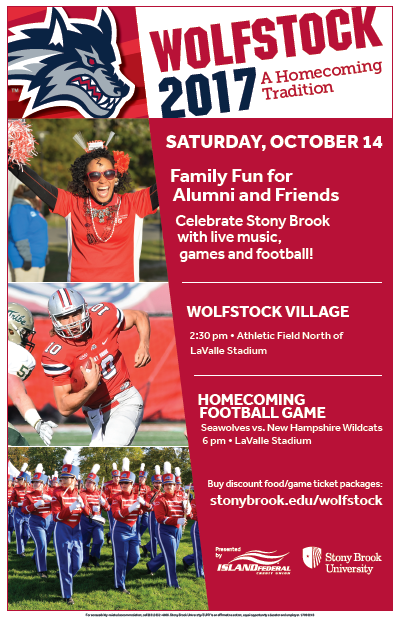 Get together with friends, alumni and Wolfie and enjoy live music, games and more before the big game at LaValle Stadium. Full spread of backyard barbecue food favorites. Pre-register online for Wolfstock by October 12 to take advantage of discounted food packages and football game tickets. Discounted packages only available for pre-registrants. Additional food and beverage will be available for purchase within Wolfstock Village. 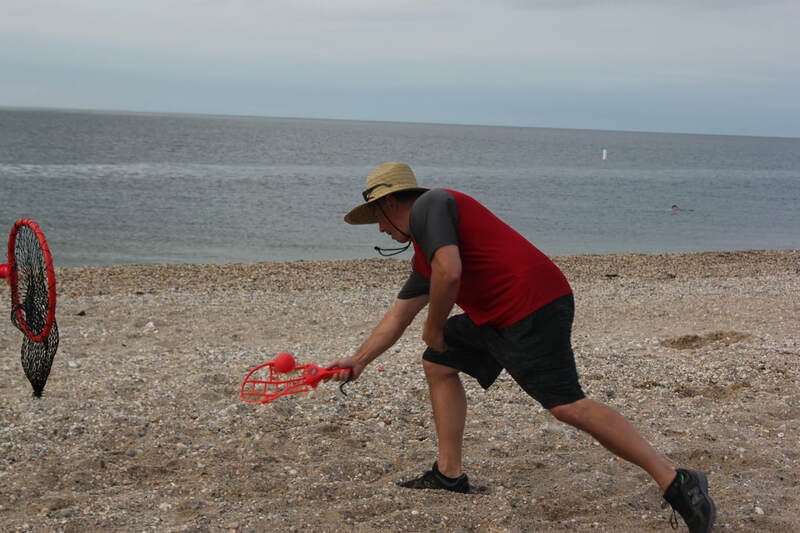 TriCrosse games - Check it out! Balloon artists! What a great day! 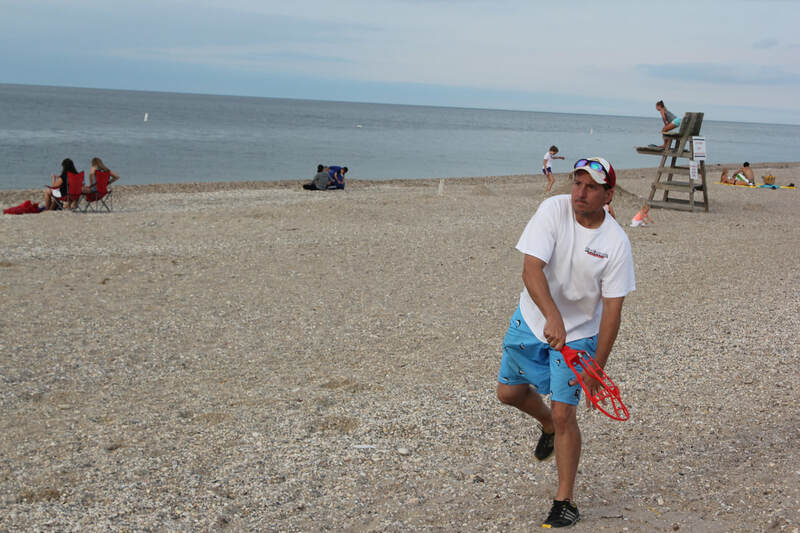 We would like to thank the Town of Brookhaven (Department of Parks, Recreation & Sports, & Cultural Resources) for allowing us to have our first tournament at Cedar Beach in Mount Sinai, NY. There were many exciting, nail-biting games along with many smiles and good, competitive fun. Great music and food at Sunsets restaurant (and thanks for your donation)! Overall, we couldn't of asked for more and are honored to raise money to Fight Breast Cancer. Thank you all for attending and we look forward to seeing you next time. 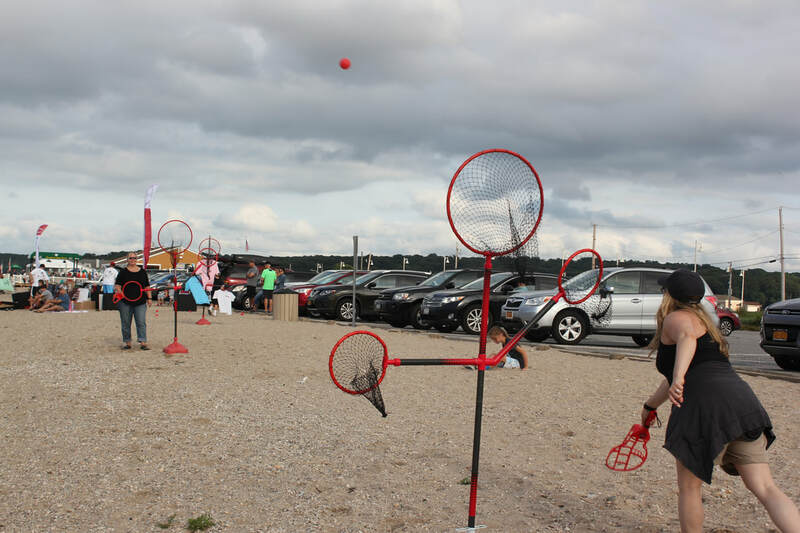 On August 12, in conjunction with the Town of Brookhaven Department of Parks, Recreations & Sports, & Cultural Resources, TriCrosse hosted their first “Fight Breast Cancer” tournament at Cedar Beach in Mount Sinai to support breast cancer programs and services at the Stony Brook University Cancer Center. 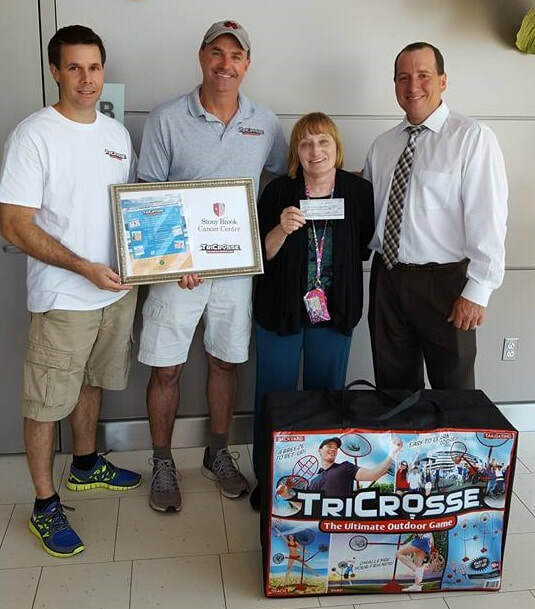 Photo (L to R): Bill Strobel, Andy Matthews and Bill Kidd from TriCrosse present a check to Linda Bily, Director, Cancer Patient Advocacy & Community Outreach, from the proceeds raised at the TriCrosse Tournament. 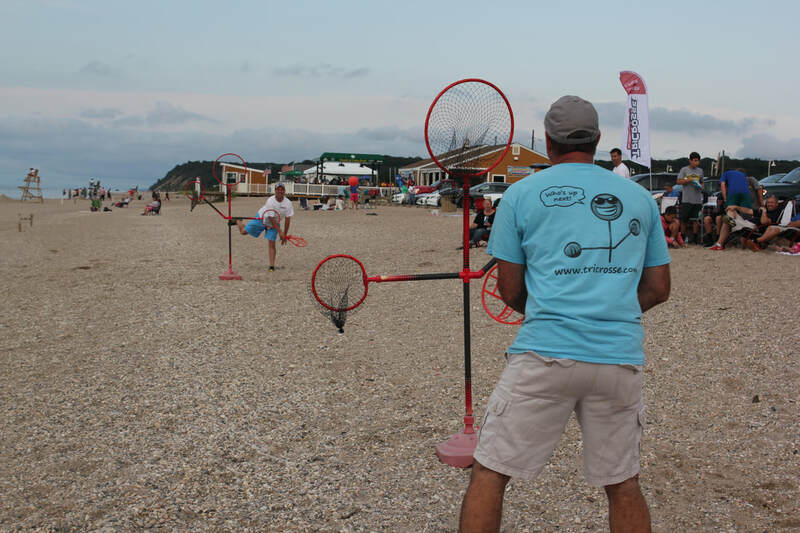 Want to host a Tournament in your town? Are you looking for a new way to raise money for your organization, charity event or business outing? 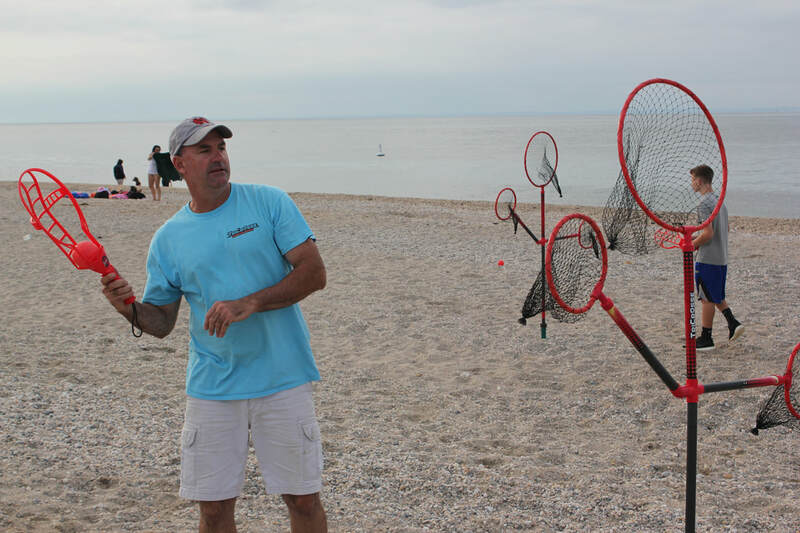 Hosting a TriCrosse Tournament might be a great opportunity for you. Click here, to contact us and see if we can get something started.